After the acquisition of a full-service Third Party Administrator (TPA) and its in-house software in 2005, the new management had a single goal in mind: to focus exclusively on the development and growth of their in-house software and turn it into a web-enabled application. Over the next 2 years, the software was re-engineered and re-branded as Virtual Benefits Administrator (VBA) and the TPA business was sold. Their efforts had paid off; VBA became one of the first, if not the first, cloud-based SaaS Healthcare Payer Core Administration Processing Solution (CAPS) in the market. 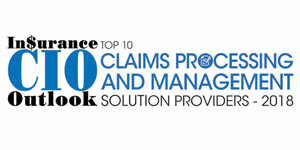 Historically, like in any other industry, the claims processing sector relied on traditional claims processing solutions for managing assets and portfolios. However, with the advent of digital transformation trends in the recent years, the need to incorporate real-time solutions has made companies like VBA to push their boundaries in providing a viable web-based product that can expedite and simplify the workflow. VBA is a proactive, leading-edge cloud-based benefits administration solution that redefines clients’ value by performing real-time functions for claims payments. It stands out as the first Healthcare Payer System to achieve this ability while also providing back-end IT services to its clients. The billing functionality of VBA allows for group, division, and subscriber level billing which facilitates seamless invoice and rate generation in every aspect of a business. Meanwhile, VBA has accounting services for each area of accounting processing for claims administration including commission payments, premium billing, distribution payments, and ACH processing for premium withdrawal and claim payments. The software provides features for interfacing with outside accounting applications, if required, for overall ledger account purposes. Its in-built process automation enhances dynamic time- and cost-saving capabilities. It gives the flexibility to choose any event in the system to act as a trigger in starting an automated process for reporting, and communication through e-mails and messages to minimize risk and effort. One such example is when J.P. Farley Corporation, a privately held third-party administration and consulting firm automated over 90 percent of one of their existing processes using VBA’s process automation tool. They achieved an overall increase in efficiency of over 50 percent, with instant access to over 200 canned reports, numerous audit functions, and advanced search capabilities. VBA foresees a market where all healthcare payers using legacy CAPS systems will upgrade their technology in order to remain competitive and profitable, and keep up with the advancement toward the Real-Time Health Systems (RTHS) of the future. The adaptations include modification of health insurance plans, provider-based health plans, and third-party administrators. The VBA application along with VBAGateway, an enterprise self-service web portal, delivers a tremendous increase in efficiency for the clients migrating legacy systems, by fulfilling the primary goal of improving patient outcomes and experiences while reducing costs in the RTHS of the future. VBAGateway focuses on user engagement while sticking with the core VBA philosophy of flexibility, functionality, and technology. The company is also actively working on the development of cognitive solutions around the most incommodious administrative tasks by leveraging the latest in machine learning and deep learning frameworks. VBA strives to enhance claims adjudication that can, through robotic automation, close the auto-adjudication gap and get administrators to 100 percent clean claims. It develops process insights and analytics that can be tuned, reviewed, and reported. What’s more, it has advanced self-service and online enrollment capabilities to improve consumer-driven healthcare. The company aims to promote and advance in the industry-leading Real-Time Claims Payment (RTCP) capability while focusing on machine learning and AI in the near future. “Flexibility is the hallmark of our system. Our approach of ‘adding value through configuration, not customization’ will continue to drive our quest for continuous improvement in both technology and service,” remarks Tom Witter, president of VBA.